A Colorado-based soldier allegedly killed his wife, whom he'd been accused of abusing, and fled the country as Indiana police found her body in a suitcase in a dumpster, prosecutors said. Charges were filed Wednesday against 21-year-old Peter Van Bawi Lian for the murder of his wife, 27-year-old Khuang Par, the Marion County Prosecutor’s Office said, after Indianapolis police found her body in a dumpster on Dec. 23. Lian, who was on active duty with the U.S. Army at the time of the alleged killing, boarded a flight to leave the country the day her body was recovered, according to police. Khuang Par is pictured in this undated photo released by Indianapolis Police. 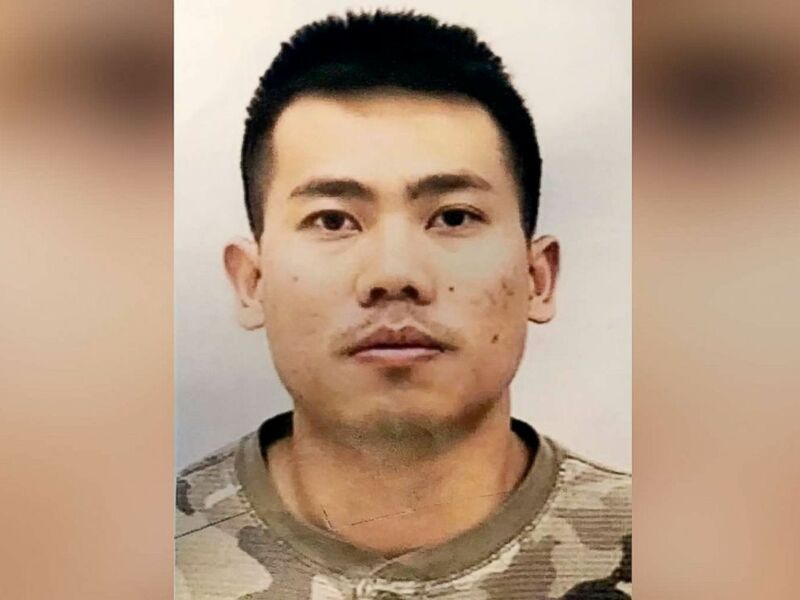 Lian, who was stationed at Fort Carson Army Base in Colorado Springs, is also wanted for military desertion, police said. He had been with the military for 7 months as a financial management technician. A suitcase and lock recovered in Lian's barracks room in Colorado Springs matched the suitcase and lock found with Par's body, documents said. The case dates back to Nov. 30, when Lian allegedly abused his wife and was arrested by Colorado Springs police on charges of assault and menacing, the probable cause affidavit said. Par told the local police she and Lian were arguing about her returning to Indiana when he started to choke her, the probable cause affidavit said. Lian allegedly told police he released pressure from around her neck and "before she could walk out of the door, he yelled, 'I’m going to kill you,' in her native language Burmese," the probable cause affidavit said. This undated photo provided by the Indianapolis Police Department shows Peter Van Bawi Lian. Par left Colorado and went to Indianapolis on Dec. 1 to be with family, police said. A protective order was issued Dec. 3 protecting Par from her husband, the probable cause affidavit said. Meanwhile, Lian was last seen at the Fort Carson base on Dec. 21, documents said. The soldier flew from Colorado Springs to Indiana on Dec. 22 and he was seen on video in Indianapolis that day, the probable cause affidavit said. Dec. 22 was the last day his wife was seen alive, the probable cause affidavit said. On Dec. 23, Lian went to Chicago's O'Hare International Airport, flying to Hong Kong and then to Thailand, the probable cause affidavit said. Lian was due to be back on base on Dec. 26, but it was determined he was AWOL, and a warrant was issued for military desertion, documents said. "Our heartfelt sympathy and prayers go out to the victim's family and friends during this difficult time. Fort Carson will continue to cooperate with the Indianapolis Metropolitan Police Department in this ongoing investigation," said Col. James G. Kent, commander, 4th Sustainment Brigade, 4th Infantry Division. Anyone with information on this ongoing case is asked to call police at 317-327-3475.